The Hardware making up the “Intelligent Vehicle Loop Detector” unit comprises of a number of modules designed to be accommodated in a standard 19″ card cage. They comprise of multi-channel detector cards, the SC600E processor and communications module and a PS224B Power-supply and battery charger module. 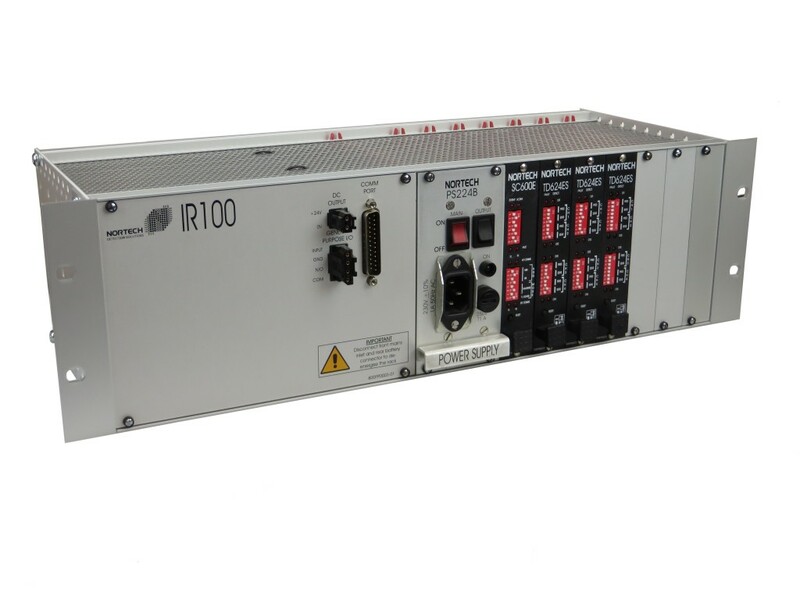 Multi – Lane Data – The IR100 can monitor 24 loops (or 12 lanes in speed measurement mode) at vehicle speeds to 200kmH. Sensitivity: Four step adjustable on face-plate. 3.5 seconds, 4 minutes, 40 minutes, indefinite (limited by ΔL/L). Fault Outputs: Open collector per channel operates under Loop short / open circuit conditions. Serial Coms: TTL level Tx and Rx @9600 bps. Monitor limits: Charger Fail alarm < 15mA. Material: Polypropylene – injection molded.